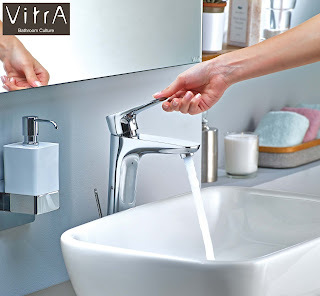 VitrA, the leading bathroom solutions brand of Eczacıbaşı Building Products Division in Turkey introduces exclusive range of X- Line Faucet Series. You can express your style in your home with the confidently, smart design and high quality with VitrA’s X- Line Faucet Series . Standing out in faucet category with its angular designs and a solid build, X-Line promises to offers superior performance and quality for your family at an affordable price. Comprised of built-in washbasin and bath models and kitchen sink faucets, X-Line series defies the years with its solid build, durability and soft contoured design. X-Line series is economic to use and is environmentally-friendly thanks to VitrA’s water saving aerator. This New series is also available in dazzling gold shade. VitrA Store Address : 1st Floor, Premises No:B-102, Durolite House New Link Road, Andheri (West) Mumbai, INDIA 400053.